What value is being created in the diverse asset management sector and how is that likely to change? What separates the winners from the losers in the various sectors of the industry? How and why did the industry fail to protect its clients in the financial crisis, and what are the consequences going forward? What are the key risk issues confronting firms in the industry, notably operational and reputational risks, and how do they relate to governance and regulation? 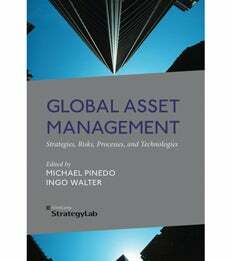 Global Asset Management contains a logical sequence of sections, first discussing, respectively, broad asset management industry dynamics, the industry impact of the financial crisis of 2007-09 and key risk and regulatory issues facing the industry. The editors subsequently narrow their focus to operational processes and cost structures as well as operational platforms and IT strategies. This is key because if competitive distinction cannot durably be achieved through persistent portfolio outperformance adjusted for risk, then distinguishing between winners and losers in the industry depends heavily on costs and quality of service, as well as optimizing – both internally and externally – the value of information. The final section of the book looks ahead to the future of the asset management industry and the strategic positioning and execution issues that will determine competitive success. Overall, the book provides a serious resource for readers seeking greater depth and alternative opinions on specific industry developments, and breadth for specialists interested in the dynamics of the industry. Mike Pinedo is the Julius Schlesinger Professor of Operations Management and Chair, Department of Information, Operations, and Management Sciences. Ingo Walter is the Seymour Milstein Professor of Finance, Corporate Governance and Ethics.